Maximize the performance of your EMC Symmetrix VMAX. The EMC 005049129 is a 2.5-inch 400GB SSD EFD hard drive. All EMC hard drives sold by SPS Pros are previously used, fully-tested, and backed by a 60 day warranty against defects. Same day, international, and expedited shipping available! The 005049129 is also known as part number 005049268, 005049611, 005049783, and more listed below. EMC Symmetrix VMAX systems provide the industry’s most complete range of tiering options to optimize storage environments. Driven by constant data growth, today’s storage platforms must efficiently accommodate much larger capacities and higher performance while leveraging the best of emerging technologies. VMAX architecture provides a high-end, multi-dimensional storage subsystem that can scale beyond the confines of a single system footprint. VMAX systems support Enterprise Flash, Fibre Channel, SAS, and SATA drive types, using the same 3.5″ drive carriers (however SAS drives are 2.5″ devices for high efficiency operations). The underlying physical storage in the VMAX system consists of three storage basic tiers, including EMC Flash Drives, Fibre Channel Drives, and SATA II 7200 RPM drives. Flash storage provides the highest performance and cost per Gigabyte. Symmetrix VMAX systems support up to 2,400 Enterprise Flash drives per system. Enterprise flash drives provide ultra-high performance. Fibre channel and SAS drives provide high performance. 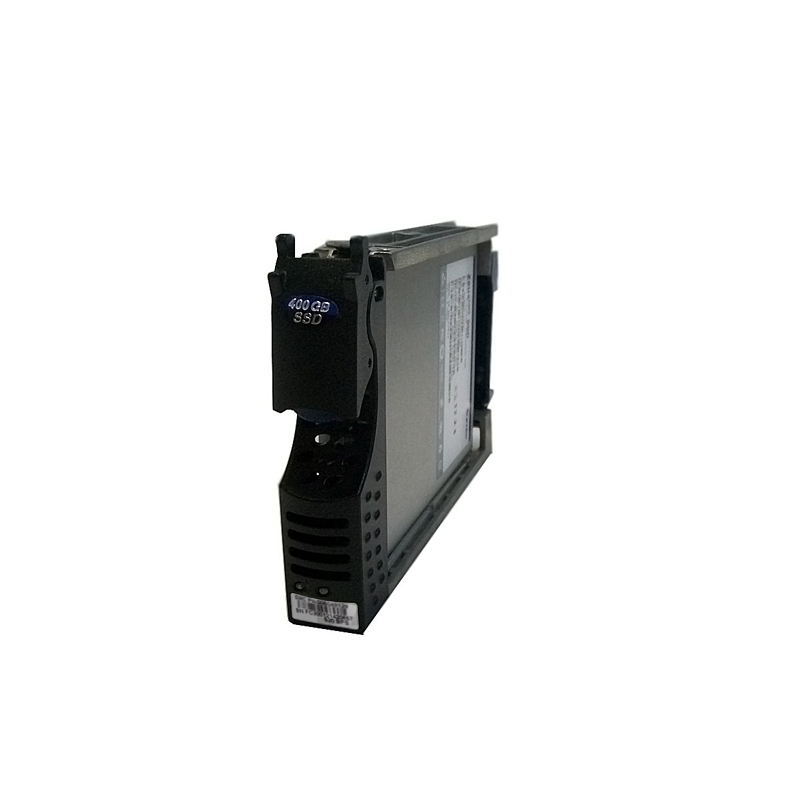 SATA drives provide high capacity. The VMAX 250F/FX (12Gb/s) and the 450F/FX and 850F/FX (6Gb/s) support the latest dual ported native SAS Flash drives. All Flash drives support two independent I/O channels with automatic failover and fault isolation. EMC Symmetrix VMAX storage system platform has many applications for open systems and mainframe computing. The system scales from a single Symmetrix VMAX engine system with one storage bay to a large, eight-engine system with a max of ten storage bays. Each bay contains sixteen disk array enclosures (DAE), containing 15-25 hard drives each. A Symmetrix VMAX system with Flash drives can deliver single-millisecond application response times and up to 30 times more IOPs than traditional 15,000 RPM Fibre Channel disk drives. In addition,because there are no mechanical components, Flash drives require up to 98 percent less energy per IOPS than traditional disk drives. To satisfy enterprise-level drive requirements, NAND single-level cell Flash technology was made more robust with static and dynamic wear leveling functions, bad block remapping, and multi-bit error correction. Because of these reliability enhancements and the fact that the drive has no moving parts, the life expectancy of the Flash solid-state device exceeds that of hard disk drives. Flash drives deliver excellent reliability as well. There is comprehensive validation that includes environmental, manufacturing processes, quality, performance, reliability, and availability with all EMC flash drives. These drives are guaranteed, and Enginuity monitors their operational status just like every other drive in the system. Leveraging NAND reliability and intelligent wear leveling ensures that these drives will have a life expectancy of over five years.